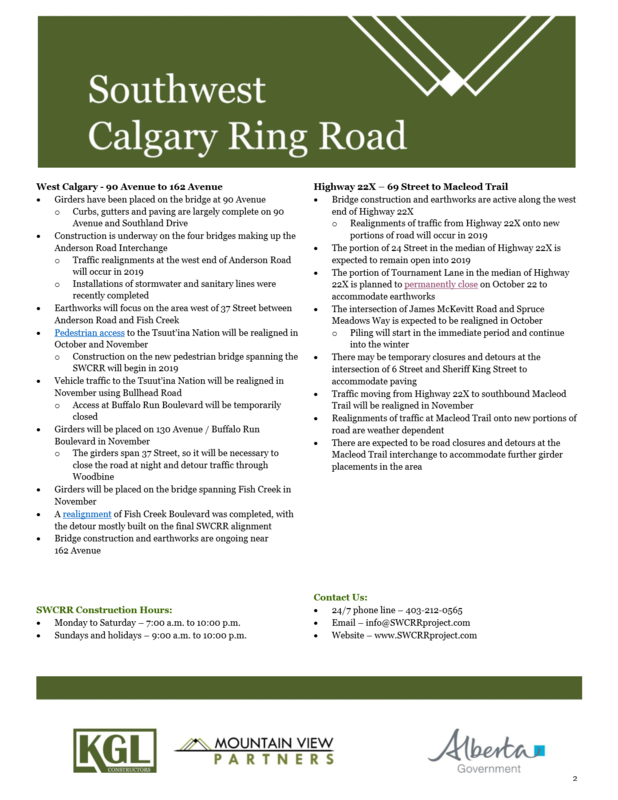 Listed below are this links for all information and updates regarding the Southwest Ring Road (SWRR). In October of 2014 the OCA (Oakridge Community Association) sent an email to our email list of 347 names, as well as our printed newsletter distributed to 2500 addresses. • Park Access. Pedestrian overpasses or tunnels – designed to match the surrounding area. • Dog Park. Maintain this area and have it designated as park area. • Noise. Something similar to a sound wall (living sound wall, berm, trees, hedges lower/higher road grade). • View. Decorative solutions (living sound wall, trees, hedges, stylized overpass/underpass). • Bike Lanes. Add bike lanes on 90th Avenue and Southland Drive (other areas that will see an increase in traffic too). • Southland Drive Connector. Eliminate, or, raise lower grade. 50 km/h speed limit. Make visually appealing. • 90th Avenue Connector. Eliminate, or, raise lower grade. 50 km/h speed limit, speed bumps. Make changes visually appealing. According to the 2014 Civic Census about 5,650 residents call Oakridge home. The ring road project will affect every one of these people and because of that it is a passionate issue to many. It is with this in mind we have compiled the feedback for consideration. When people make the decision to live in Oakridge they do so because of all the things the community has to offer. 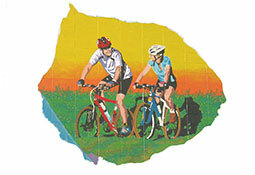 Many of these amenities are connected with the natural beauty of the surrounding parks and green spaces. We would like to see Oakridge and the city grow, but not at the cost of all the things that brought us here in the first place. For the most part, the residents of Oakridge have come to the understanding that the ring road is part of a growing city and is something that is required. Working with the city to find solutions that will lessen the impact to the immediately adjacent communities is something that we would like to see happen. By taking into consideration the suggestions outlined by residents, the ring road can be something that leaves a lasting legacy in Oakridge; something that will allow our community to maintain its identity. 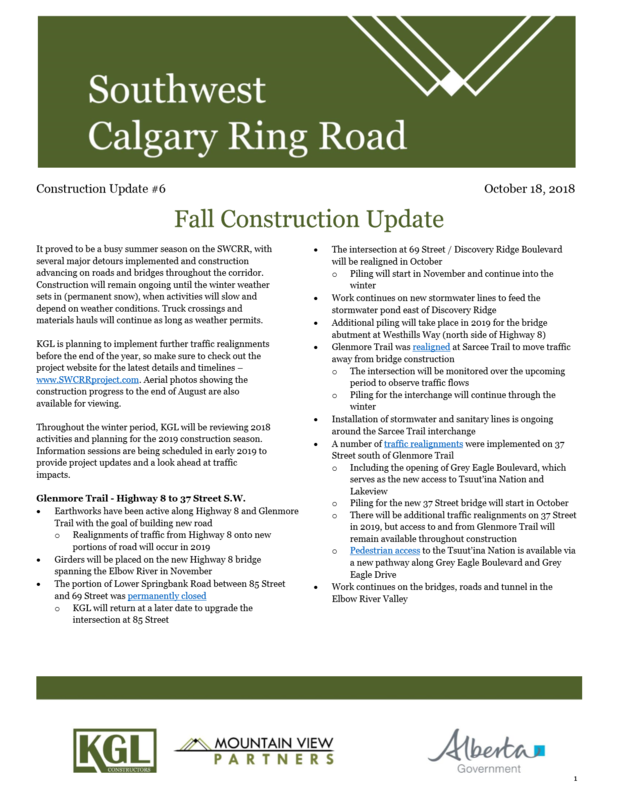 Link to Alberta Transportation website: Southwest Calgary Ring Road.